Tesla’s vehicles have a hidden ability to stop at red lights, a video uploaded Wednesday reveals. The company recently rolled out an update to its semi-autonomous Autopilot system earlier this month that alerts the driver of oncoming stop signals and traffic lights, but one tinkerer has modified their car to unlock a promised upcoming feature: stopping and starting at these signals. The eight-minute video goes some way toward explaining why the feature has not been enabled yet. While initially, the car appears to handle detection fine, there’s a moment at the four-minute mark where the car becomes confused about the light’s status and starts indicating that it’s switched to green. Fortunately, the feature prompts the user to press the accelerator rather than pushing ahead in these situations. The functionality places Tesla on a good path to achieving its goal of traffic light detection sometime in 2019. 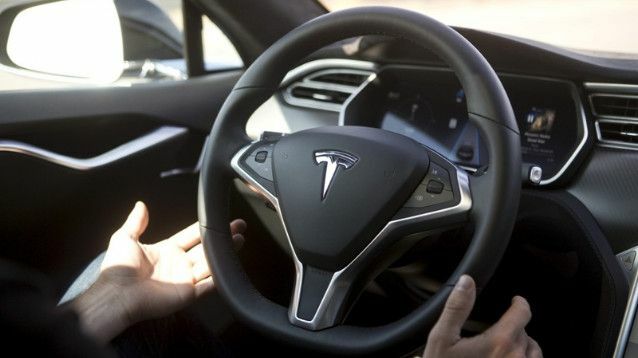 The company charges $4,000 after delivery for enhanced Autopilot and $7,000 for “full self-driving,” a package that includes responding to traffic lights, advanced summoning, automatic lane changes, and navigating based on inputted destination.